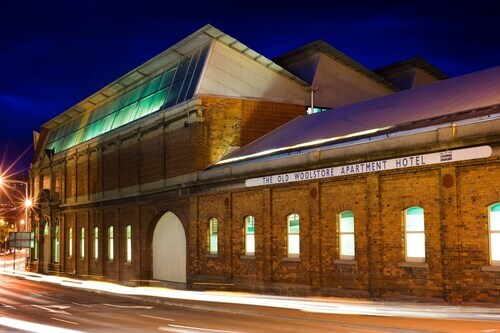 Explore iconic Hobart landmarks just outside of this beaut Tassi city, with our selection of southern suburbs hotels. 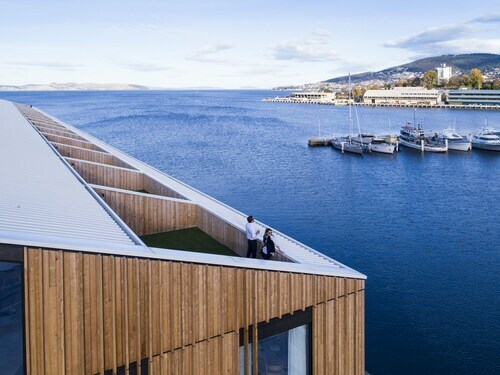 Beach bums and water babies will be more than pleased with Hobart's southern suburbs. There's Kingston Beach and Tyndall Beach, with the Browns River mouth right in between. Plus, Alum Cliffs Track is a scenic 45 minute walk with some great views of the Derwent River and Kingston Beach. Be careful in wet weather though, the clay track can get a bit slippery. Another great way to enjoy the region's natural treasures is with a walk to the top of Mt Nelson, where you can catch a bird's eye view of Hobart. Feeling peckish? When you reach the lookout, there's a cafe where you can sit down for a bite to eat and rest your legs after that long walk. There's also a nice park area, perfect for picnics. For a laid-back afternoon, you can also sit on the banks of the Derwent River and try to spot penguins, dolphins and platypus. A great way to welcome in the New Year is by watching the last leg of the Sydney to Hobart yacht race, hosted at the Royal Yacht Club in Sandy Bay. This event isn't the only thing Sandy Bay is known for. It's also home to the Wrest Point Casino, the first casino ever opened in Australia, so make sure you snap a photo of yourself standing in front of this icon. Another piece of architecture, iconic to southern Hobart, is the Shot Tower in Taroona. This is the largest freestone tower in the world, which means that it was constructed entirely without mortar. It's 58 metres high and offers some nice views at the top. The southern suburbs are between 20 and 30km from the Hobart Airport, but the CBD is only about 10-15km away. You can get around most places in the southern suburbs by bus, but you might find that a car is more convenient if you want to explore the area's natural landmarks. 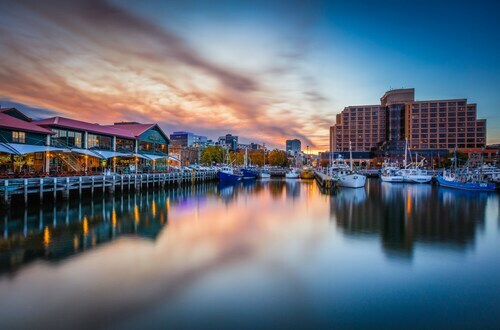 So, grab a seat on one of these cheap flights to Hobart, book your southern suburbs accommodation with us and and you'll be enjoying iconic Tasmanian sights in no time. How Much is a Hotel Room in South Hobart? Hotels in South Hobart start at AU$126 per night. Prices and availability subject to change. Additional terms may apply. This location was central to everything. Views from the room of the habour fantastic. Service was excellent.